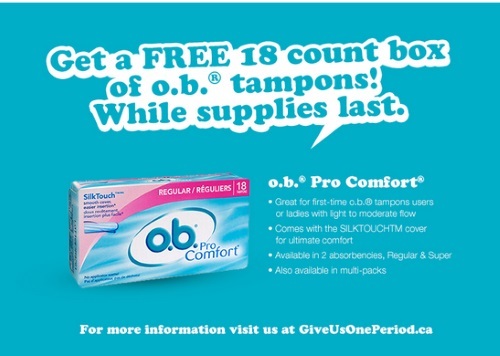 Save.ca is offering a coupon for a Free box of OB Tampons! To get yours, scroll to the bottom of the link below and complete the short survey, you will be redirected to a hidden Save.ca portal to order the coupon. This is a mail coupon, available while quantities last. Click here to get your freebie.